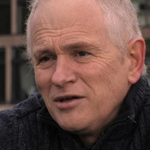 Phil is Professor and Director of the University of East Anglia’s Climate Research Unit (CRU). In 1977 he moved from modelling river flooding (PhD, Newcastle upon Tyne) to a career with the CRU, from which he became known principally for the 150-year long time series of global surface temperatures, which he still updates on a monthly basis. This work, now done in conjunction with the Hadley Centre, UK Meteorological Office, has featured prominently in Assessment Reports of the IPCC since 1990. Awards include the International Journal of Climatology prize of the Royal Meteorological Society for papers published in the last five years (2002). He was made a Fellow of the American Meteorological Society (2006) and the American Geophysical Union (2009). In 2009 he was one of several climate scientists whose integrity was publically challenged on the basis of stolen e-mails. Subsequent formal enquires showed the claims to be groundless.